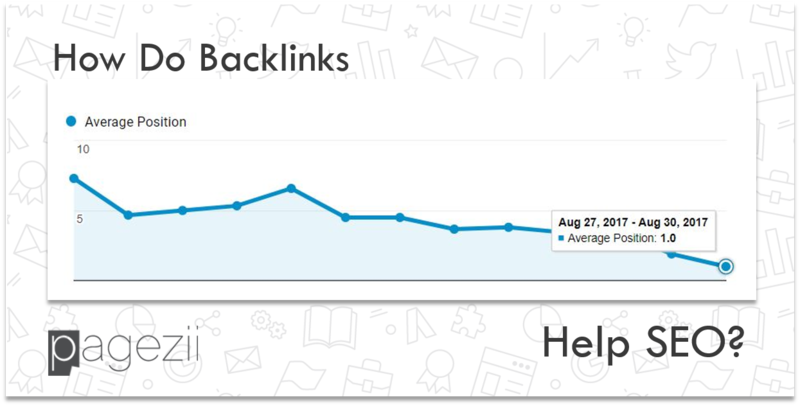 Since day one, the all-powerful backlink has been a holy grail of SEO. And tapping into that power can work wonders for your site. So today, I’m going to answer the question “how do backlinks help SEO?” to show those wonders using a Pagezii blog post. 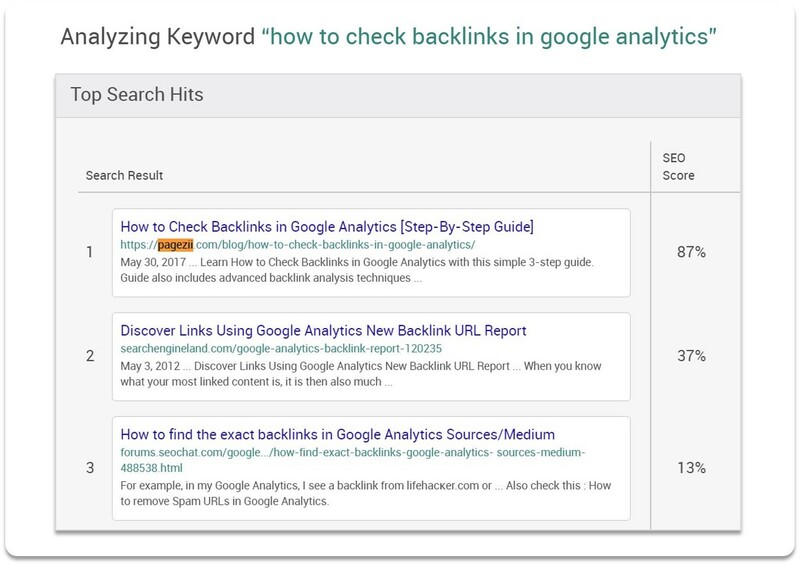 I’ll show you how I noticed the backlink through analytics data. Then I’ll analyze why this page got the backlink, so you can template your blog posts for awesome SEO results. It’s ironic, but the blog post I’m using in this example is actually about backlinks itself. For reference, the blog post is How to Check Backlinks in Google Analytics. When I published this blog, I knew it would rank well in search engines. But we didn’t always hold that position. But now, after 3 months, we’re in position one for our keyword target. One day, a few months after publishing, I saw traffic to the post start to take off like a rocket. Just like that, the post got a massive surge in traffic. It actually became one of our top viewed posts for the next few weeks. And for a blog post which I knew wouldn’t generate jaw-dropping amounts of traffic, this was a total win. All thanks to a high-quality backlink. How do backlinks help SEO? Well, you saw the results in organic search ranks. So with the results in mind, let’s shift focus. Let’s discuss why this post was a good candidate for a backlink. So why did this post get the backlink? If there is one thing this blog post is, it’s specific. And I also had an idea when writing this post how it would turn out. #1) I wouldn’t get a ton of traffic. Because it’s such a tight keyword. And that search query only gets a handful of searches per day. But that’s not a bad thing. It’s an opportunity to seize those searches. Because I knew the competition wasn’t staggering for them. Also, this query was building search volume steam throughout the year. So it was a perfect target. #2) This blog post would answer a specific question. Meaning anyone who found this would get instant value from it. #3) I could rank well SERPs for the target keyword…. And that third point leads me to my second theory as to why my blog post got the backlink. They were writing a blog post of their own. And in that post, they wanted to mention how to look up referring links using Google Analytics. But not only that, they wanted to provide a resource on how to do this. … And just like that, a backlink was born. Backlinks improve your search engine rankings. You can see from the average position graph that around the time we got the link, we were ranking between 4 – 5 position. After the link, our rank improved to position one in a few weeks. Backlinks generate higher search engine traffic (clicks and impressions). Because as your search engine rank climbs, so will CTRs, and therefore and traffic to your site. Now you know how backlinks help SEO.Now it’s your turn for awesome SEO results. Try formatting your content like I have in my backlinks blog post. 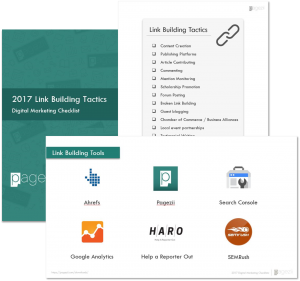 And for more ways to get backlinks, download the link building tactics checklist. It includes curated techniques from Digital Marketing Pros on scoring links to your site.